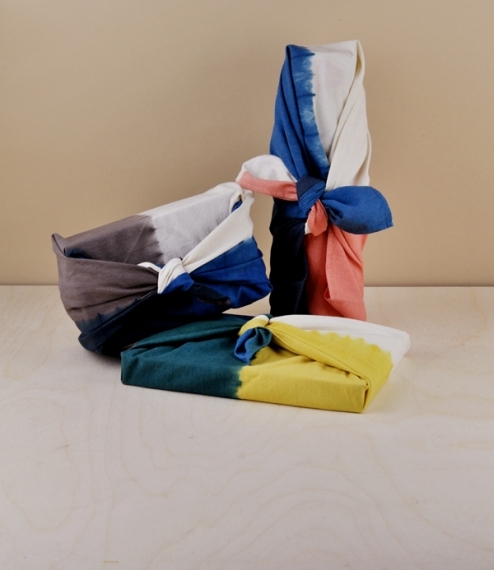 Cotton furoshiki, or wrapping cloths dip dyed in overlapped halves at Kanai Mudding Works in Amami Oshima. 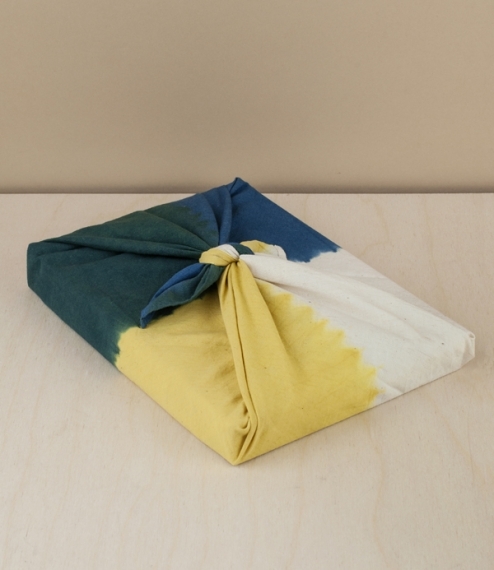 Originally used to wrap clothes and belongings whist bathing, they are now used mainly for wrapping gifts, bento boxes (doubling up as a dining cloth), and increasingly as an alternative to disposable plastic bags. 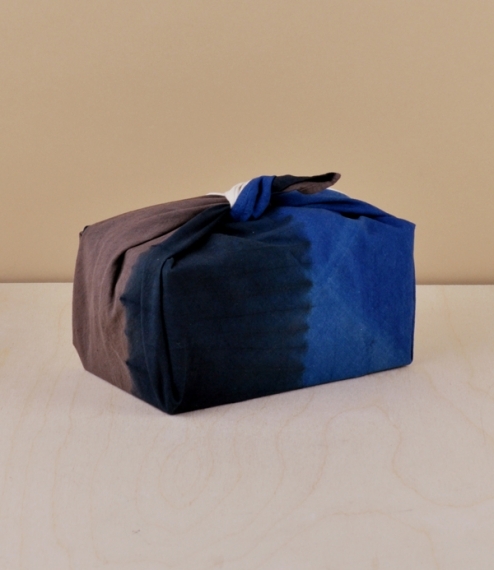 Coloured using only natural and plant dyes, 'ai' indigo, madder red, common garcinia yellow, and 'dorozome' mud-dyed grey-brown. You can find out much more about Kanai Kogei and mud-dying here. 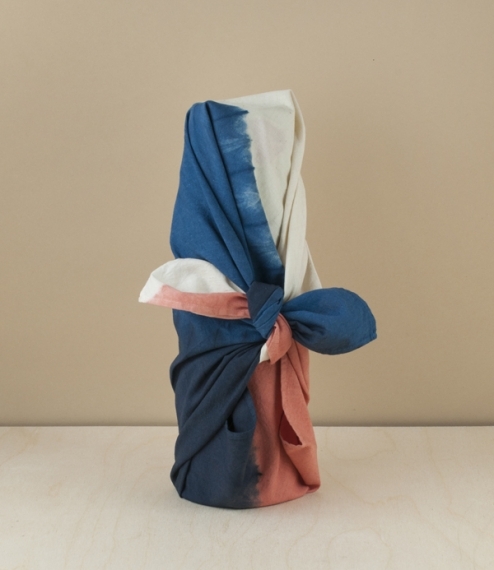 Two sizes, about 45cm squared (small), perfect for wrapping smaller items and bottles, or 95cm squared (large) which makes an ideal scarf, bag, picnic holder, or of course for wrapping larger items.